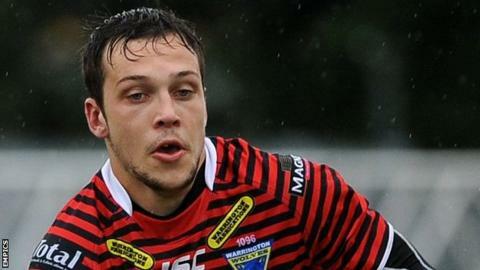 Castleford Tigers have signed Warrington half-back Gareth O'Brien on a one-month loan deal as cover for the suspended Rangi Chase. The 21-year-old is in the Tigers' squad to face Bradford Bulls on Saturday. A two-match ban was imposed on Chase for a reckless tackle on Leeds full-back Zak Hardaker in last week's 14-12 win over the champions. O'Brien, who had a month's loan at Widnes last season, has been unable to force his way into the Wolves team. He played on a dual-registration for Championship club Swinton last weekend, and made 11 appearances, scoring three tries and 28 goals for the Wolves in 2012. Castleford coach Ian Millward said: "I have been an admirer of Gareth's for some time and [Warrington coach] Tony Smith speaks highly of him as both a person and a player."